Looking for ways to teach kids money skills that will last a life time? 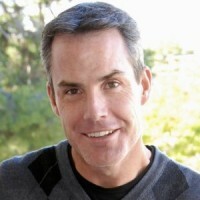 Do not skip on reading my interview with Mr. John Lanza, the creator of The Money Mammals. I really enjoy entertaining and educating kids - I always have. I was a camp counselor for much of high school and college and I came to Los Angeles to get into kids entertainment, and was fortunate to work on a number of great programs, including the Emmy-nominated show, "Life With Louie," with Fox Kids. My wife, Eileen, and I conceived this gem of an idea when our first daughter was six months old. We knew we wanted to impart financial smarts on her at an early age, and we knew that this subject needed to be made really engaging with fun characters and catchy songs. I immediately called up my brother to write some songs - I really wanted songs that kids and adults could enjoy and I've always loved the songs he's written. Interestingly, Mark, my brother, Eileen and I performed the characters in a short "pilot" version of the show. 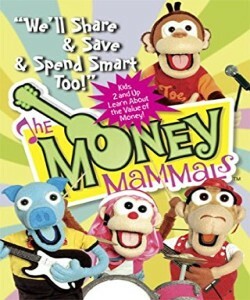 Our puppeteering left a little to be desired (I'm being kind), so we went back to the drawing board, rewrote the script and brought in terrific puppeteers to create our DVD, "The Money Mammals: Saving Money Is Fun." - Available for sale at Amazon. What are the Mistakes Parents Make When Teaching Money to Kids? The top mistake parents make is not starting early or simply not starting at all. I tell parents to just get started on the basics. Parents often feel so overwhelmed about the prospect of teaching financial literacy because they feel inadequate about their own finances or understanding of personal finances. The simple Money Mammals message can help cut through those feelings and provide a basis from which parents can teach. In fact, one of my daughter's preschool teachers told me they began investing in a retirement program right after we did a live show for them. What is the Right Age to Begin Teaching Kids About Money? You can start introducing your kids to basic messages at the age of two and I believe parents MUST start talking to kids before they enter kindergarten. Research bears this out as well. Young kids can get the basics - distinguishing needs and wants, making choices and sharing, saving and spending smart. These are all topics that we cover in the DVD. Can You Suggest Games for Kids to "Save, Share and Spend Smart?" We have terrific new teaching guide with activities and games that is designed to work with the DVD. Although it's aimed at Kindergarten, 1st and 2nd grade, I've used the framework in preschool classrooms so I know it works and kids love it. We also have a Kids Club program available at select credit unions across the country that features really fun online games for kids of various ages. Ask your local credit union if they have The Money Mammals Saving Money Is Fun Kids Club program. You can even try the games at one of our partner's sites, http://roguefcu.clubmoneymammals.com﻿. Can You Recommend Activities to Teach Money to Kindergarten? Sure. Set savings goals with your kids and make them very visible - paste a picture of the goal on his or her savings jar. Young kids have a difficult time saving "for a rainy day," but in my experience, once a child is four years old, he or she can save for goal and that can be very meaningful. My daughter has saved over periods of four to eights weeks for various items, including a scooter. Always be on the lookout for learning moments too. When we went to purchase the scooter, for example, it happened to be on sale and my daughter was able to put three of the dollars she had intended to spend on her goal back into her savings jar. Also make sure you use clear jars so that kids can see the money accumulate. When Should Parents Begin to Give Allowances to Their Children? I think it is imperative that parents give their children an allowance by the time they are five, if not earlier. Experience with my own kids suggests that three is too young, but somewhere between four and five is ideal. Allowance is the primary tool they should use to help their kids become money smart. David McCurrach has developed a time-tested allowance system in his terrific book, Allowance Magic. I love this book because the system is simple and affordable. It's very important to set up a three-jar system with clear jars and, at least for the first few years, require kids to put some money into the Save and Share jars each time they receive their allowance. The balance can go into any of the three jars. Also, consider some type of matching incentive for any money that goes into the Save jar. For example, we give our daughter an extra quarter for every dollar she puts in the save jar. This helps build a behavior of saving and starts to teach them that their money can grow more by saving. Should We Reward Kids with Money for Doing Household Chores? Yes and no. I believe that parents should start their children with an allowance by the time they are four- or five-years-old and I don't believe the allowance should be tied to chores. 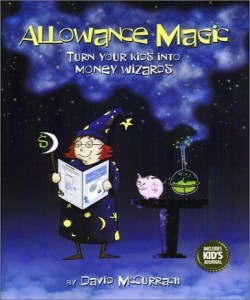 Allowance is a tool for teaching kids about the value of money and financial literacy. A certain set of core household chores (e.g. making the bed, tidying up the room) simply needs to be done because kids are part of the family. I think it's ok to offer money for extra chores like raking the leaves or mowing the lawn. What is the Most Important Lesson When We Teach Kids Money? I think it's incredibly important for parents to help kids distinguish the difference between needs and wants. Interestingly, because kids tend to do what you do and not what you say, this involves adjusting your own behaviors as a parent so that you're not sending mixed signals. For example, if your iPod breaks, don't say, "I need to get a new one," but instead, "I want to get a new one." As much as we might enjoy some of our gadgets, most of them are still wants, including iPods. You can read more about my thoughts on financial literacy on my blog. My grandfather grew up in the depression and took me aside in my early twenties and said, "If you understand the power of compound interest and live beneath your means, you'll be fine." I wish I had heeded his advice much earlier, but I suppose it's better late than never.